The 2500 square foot space is the prototype for a fast casual Asian café. It is inspired by elements of an American diner and infused with Asian motifs. The fun atmosphere can be effectively replicated as required by the multi-unit operator and franchisees. 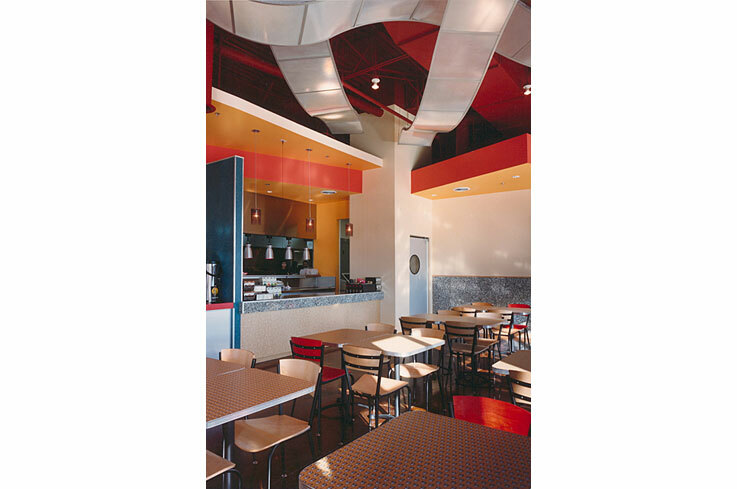 Playful touches include the order counters, large stainless steel rice boxes and light fixtures with chopstick diffusers. Special attention was paid to the flow of customers as well as the food preparation to insure an efficient process and enhanced experience. 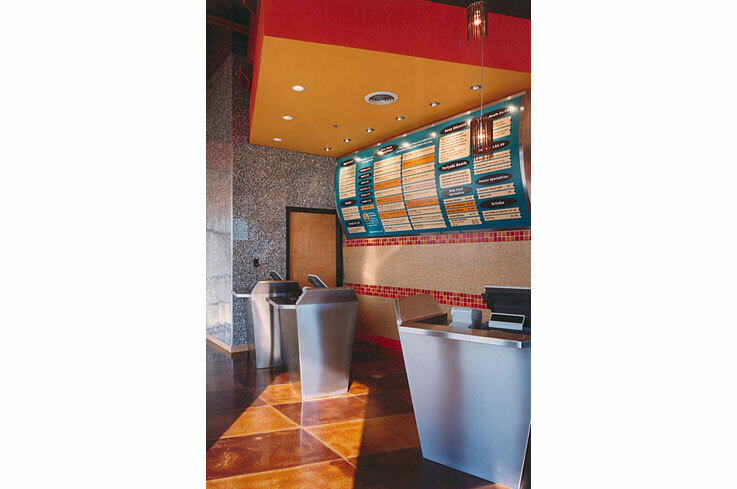 Stained concrete floors, an open ceiling with curved backlit “noodles” panels, and custom designed table top laminate are an integral part of the brand’s identity.